1.Simple, rapid assembly and dismantling. 2.Spare parts and floating pipe available. 3.Transportable by road, rail or sea. 5.Fresh water engine cooling system. 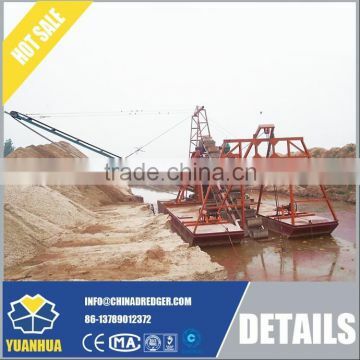 YHWNC 10/8, 12/10, 14/12, 16/14, 20/18, 22/20 series dredgers can apply to all kinds of soils, which are widely used in port, waterway dredging and reclamation works. 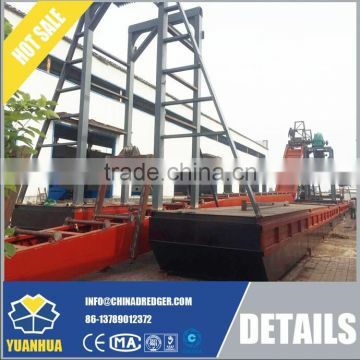 This series of dredgers, absorbing advanced technology of Dutch and American related products,have advantages of totally hydraulic control system, simple operation, easy maintenance, rational design, fashion layout and strong power. 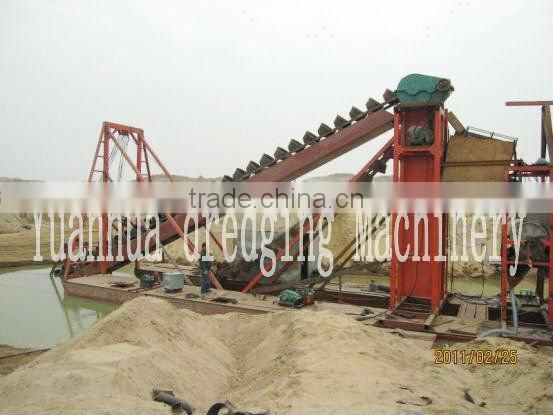 The maximum dredging depth can reach 25 m and discharge distance 3000 m .
1.Cutter suction dredgers operate by swinging about a central working spud using moorings leading from the lower end of the ladder to anchors. 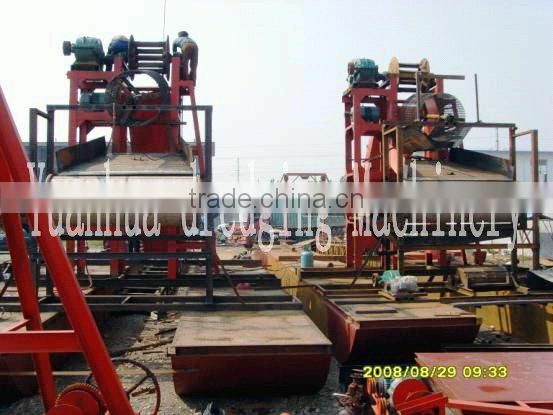 By pulling on alternate sides the dredger clears an arc of cut, and then moves forward by pushing against the working spud using a spud carriage. A generally smooth bottom can be achieved, and modern instrumentation allows profiles and side slopes to be dredged accurately. 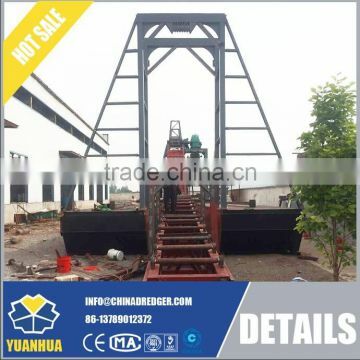 Some of the larger cutter suction dredgers are self-propelled to allow easy movement from site to site. 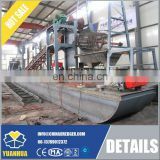 2.The size of a cutter suction dredger is measured by the diameter of the suction pipe and by the installed machinery power. 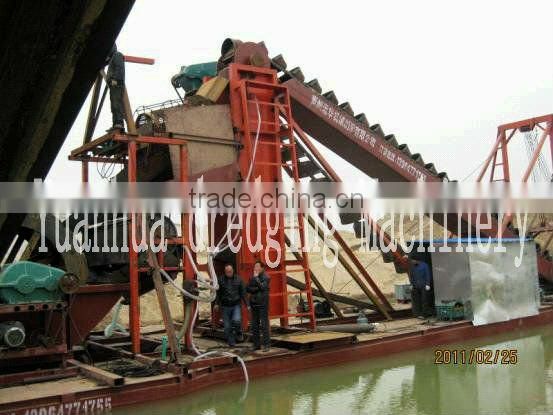 3.Cutter suction dredgers can be used to deliver through a pipe-line or to load barges. 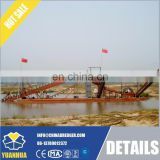 They may also be used simply as loosening devices for material to be rehandled by another type of dredger, in which mode discharge is directly over the stern to the sea. Pipeline discharge is most common but is vulnerable to waves and currents and causes an obstruction to other vessels. To avoid these problems part of the pipeline may be submerged and laid on the channel-or sea-bed. 4.Pipe diameters are in the range 100 to 1500 mm. 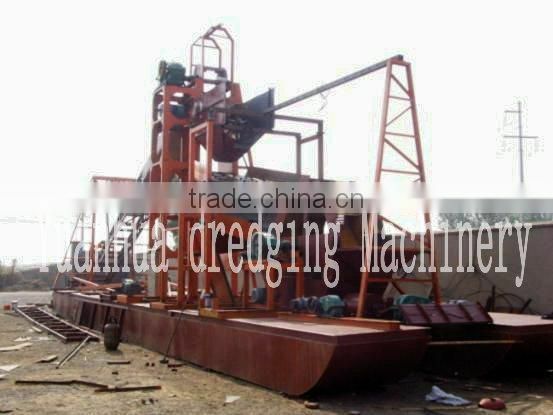 A modern highly automated cutter suction dredger is capable of achieving high outputs over sustained periods and production rates of around 500000 m3/week are possible under good conditions. 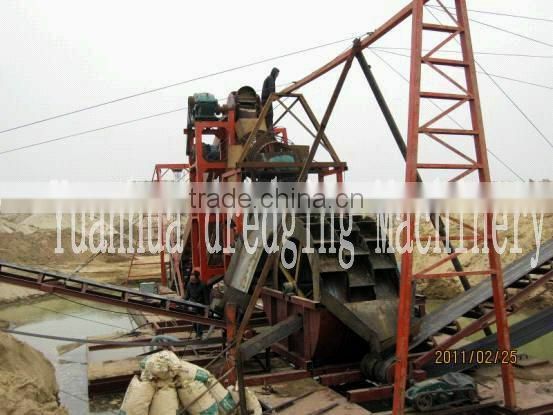 5.Cutter suction dredgers are mainly used for capital dredging, especially when reclamation is associated with the dredging. 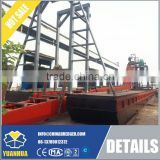 6.Smaller vessel can be dismantled into sections and moved by road or rail for work in inland waterways, sludge lagoons, reservoirs and similar isolated areas. 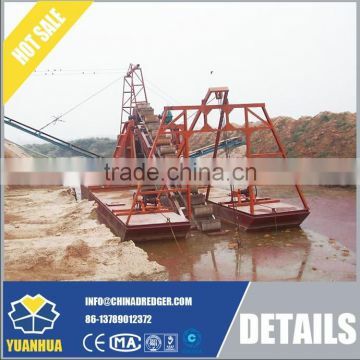 Large heavy duty cutter dredgers are capable of dredging some types of rock which have not been pre-treated. 7.If you consider that the product is not appropriate for your requirement, please supply the detailed information of the product to us, then we can produce according to your need.Or you consider some parts of the machine should be changed, please contact to us, so we can manufacture it according to your requirement. 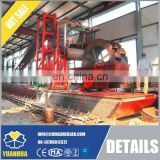 If you want to know more information about the product and us, please contact us.